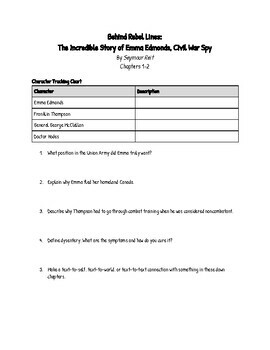 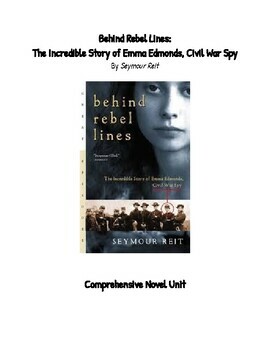 This is a novel unit to go along with the novel Behind Rebel Lines: The Incredible Story of Emma Edmonds, Civil War Spy written by Seymour Reit. 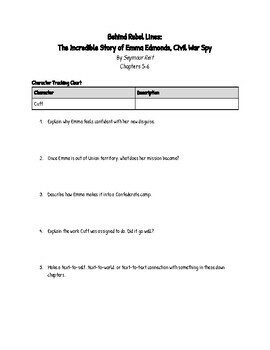 The worksheets are grouped by every two chapters. 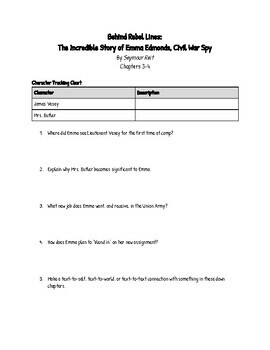 The questions vary from recall, comprehension, vocabulary, and each worksheet asks to students to make a text to self/world/text connection as well.